shower curtain Jeff looks out from a window just above Steve's C-Town. 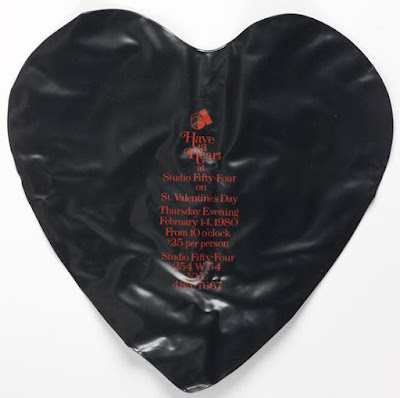 Remember when ads like these and their audio versions were a staple on the TV and the radio? When Dr Zizmor & his local pals were commercial kings of the subway? Without a (subway-fold please) paper or a book to read, without the conversation of a friend or a casual exchange with a stranger, before the rider traveled lost, head down, in screen world, you were more alert to your surroundings. Part of it was a rider's safety instinct, but mostly it was the sheer pleasure of eyeing your fellow New Yorkers, and listening to their conversations. Inevitably though, there were lulls when all that was left was a queasy contemplation of the subway ads. They had a kind of wan, hypnotic charm. The locals ads don't have much of a presence on the subway any more. It costs too much. And out on the street it ain't so easy either. The pressures of online shopping and high rents and the presence of mega-stores affect the viability of chains both national and local, along with independent businesses. There are plenty of vacancies. I walked along Fifth from 9th to 23rd the other day and counted around forty stores either vacant or closing shortly. After the recent death of its Queens-born founder, Neil Patron, Petland Discounts is closing its tri-state stores. Our local Petland, at Fifth & 13th, will be one of them. The Times ran a piece on the closures earlier this month. Staff and customers at Petland Discounts stores in Brooklyn on Friday acted as though the closings were all but certain. The fish tanks’ bubbles were still roiling and the cockatiels kept chirping, but the people were glum. Tatiana Vazquez, the Park Slope store’s manager, said she had known about her store’s impending closure for about a week. She said Petland Discounts was struggling to compete with online retailers. Fish food priced $13 at her store, she said, could sell for $5 at the pet store site Chewy.com. There's a closing sale at the Park Slope store, and a steady stream of shoppers coming in. The staff are keeping a brave face, but it's a sad scene. You can hardly blame shoppers for wanting to save money when budgets are tight, but the more we shop online the less we support the stores in our neighborhood, and the job security of our neighbors. If you order your groceries Fresh Direct, or your purchases come to you most of the time via UPS or Fed-Ex you're a big part of the problem. And you also miss out on the small, day-to-day exchanges that make city living such a pleasure. The city's a web of connections, beaded with light, and delicately woven. Train lines, bridges, firemen, store clerks, shoppers, panhandlers, rich, poor, old, young. Without our mutual care and support, the city's nothing at all. Greschler's Hardware has been a fixture on Fifth since 1919, so amidst all the closures on Fifth it's good to know that it's marking its centennial with an expansion next door into the space last occupied by medical offices. I was sorry to find out that the Puebla de Los Angeles grocery store recently closed. The building it inhabited, 722 Fifth, was put up for sale last year, along with next-door 720, and 719 across the street, at just under $10M. An ad listed four retail units and 21 rent-stabilized apartments "with future rent growth potential." Keep an eye on those rents. Ève Lavallière (born Eugénie Fenoglio) had planned a tour of the United States but never made it. She did get into the American papers though. She had quite a life. 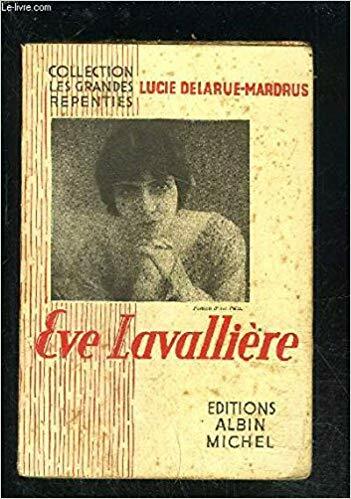 Born into chaotic & violent family circumstances in 1866 - her father shot her mother dead & then killed himself - she rose to become a star of the French stage, with a career that spanned from the 1890s to World War I. While she took both light and tragic roles, she was most famous for the comic ones. 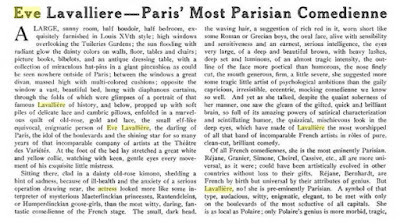 Lavallière became fabulously wealthy and had a string of lovers and patrons. Towards the end of her career, when she was in her mid-forties, she had her hair cut short by society hairdresser Antoine de Paris. It's said the new style was to make her look younger for an ingénue part but whatever the reason the style caused a stir. 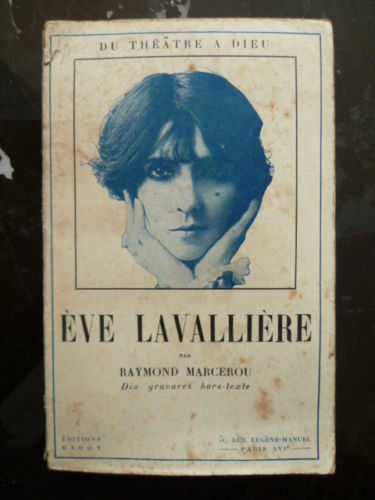 She was the first French actress to wear a bob. A few years later Lavallière's stage career was over. 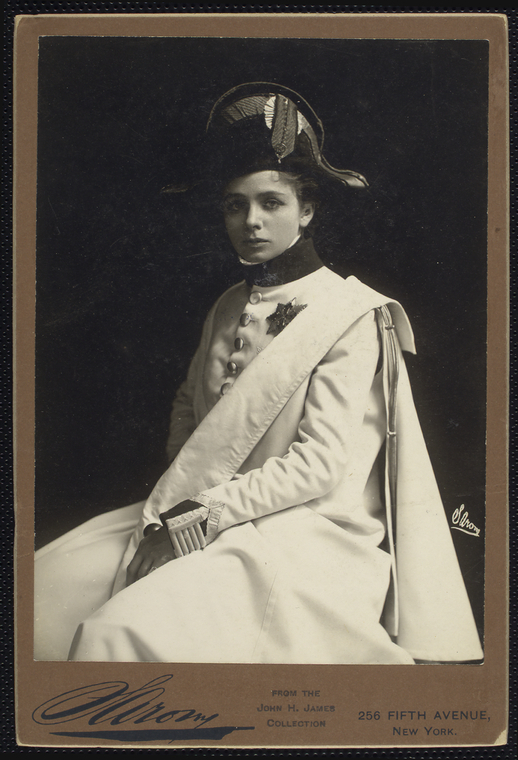 In 1917, exhausted & in a state of crisis, she retreated to a chateau near Tours, along with her personal companion, Leonia Delbecq. Under the influence of a local priest, Father Chesteigner, she apparently underwent a religious conversion, and along with Leonia adopted a life of prayer, missionary work and meditation. 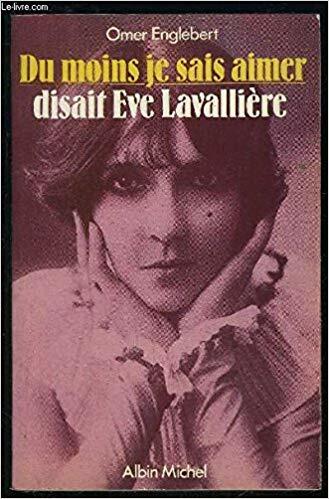 If you look online for Lavallière today most of the initial search results come from Catholic websites; she's still a poster child for bad girl-gone-good, an irredeemably wanton soul who even entreated Satan to restore her looks miraculously drawn to the light. Books of period vintage offer a similar angle, and many of them draw on a particular image. The woman remains stubbornly opaque, locked into a role that runs too perfect an arc, more stylized and sentimental than her stage performances. 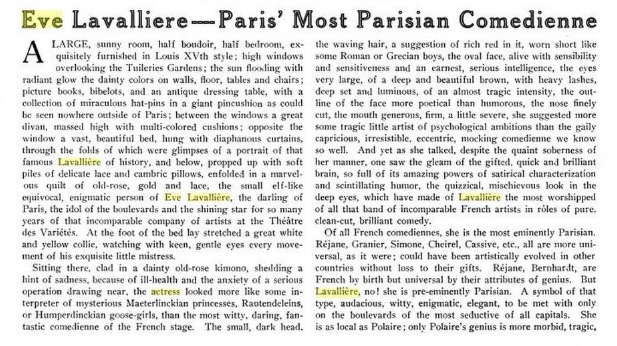 And how, we wonder, was the directorial control divided between the Church & Lavallière herself? I'd love to see a (deconstructed) film version. The warmer weather brought a winter thaw at Green-Wood, and water dripped down the cemetery walls on 23rd Street. Next time I walked by the thermometer had dipped again and icicles were hanging from the stonework crevices. They weren't very big - half a dozen inches at most - and they snapped off easily. Perfect little winter daggers, here for the deed at hand and gone again. 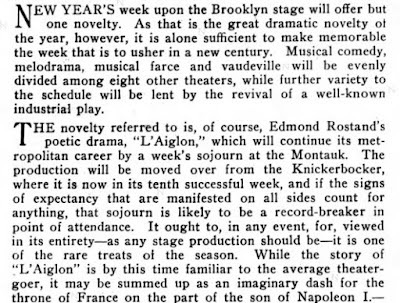 The Montauk Theater opened at 585-7 Fulton Street in 1895. A decade later it was forced to make way for the construction of the Flatbush Extension & the theater building was moved to nearby Livingston, at Hanover Place. 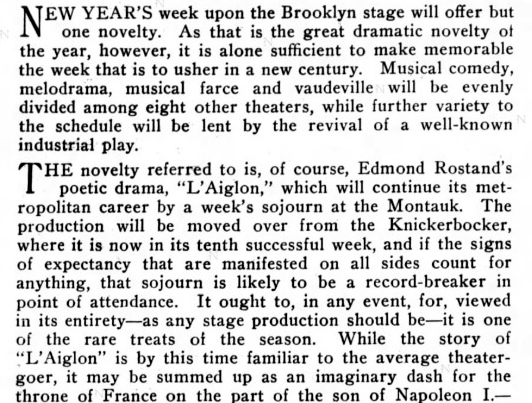 In 1907 the theater moved again to a spot on Flatbush Avenue Extension right across from its original location. It had a series of owners, names & renovations over the next thirty years or so, ending as Billy Minsky's Brooklyn Burlesque. It was demolished in 1940. 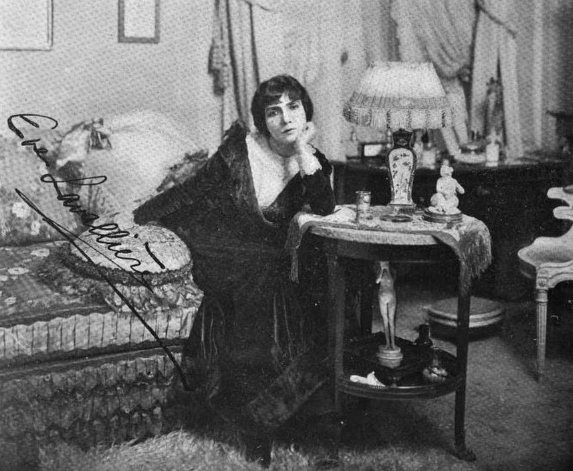 Adams, who started her stage career as a child, became one of the most successful and highly paid actresses of her time. Her most popular role was the lead in J.M.Barrie's dramatization of Peter Pan. She retired from the stage in 1918, but returned to acting for a number of years in the 1930s. She collaborated with General Electric and Eastman on improvements in stage lighting and color photography, and headed the drama department at Stephens College in Missouri. She died in 1953, and was buried next to the grave of her longtime companion Louise Boynton.